The season of Advent, the four Sundays leading up to Christmas, is here. It’s a wonderful time when Christians reflect especially on the coming of Christ to earth and look forward to his return. If you’re looking for resources as you meditate on the meaning of the season, we have recommendations for the whole family. Paul Tripp takes us through the Advent season with a beautifully bound devotional he published last year. The easy daily readings reflect on Gospel truths with depth. Through his writings from his Desiring God blog and his sermons, John Piper has assembled theologically rich meditations on the Christmas season. Piper’s passion and excitement are evident here, as suggested by even the title of this devotional. Forty devotionals are taken from Bonhoeffer's letters and passages from his Christmas sermons move through Advent themes. This brand new devotional from Scottish theologian Sinclair Ferguson takes a unique approach to the season––he slowly walks through 1 Corinthians 13 each day, showing us love in the Word made flesh. Two pages a day––the perfect length for a family devotional during the Christmas season! Short stories and Scripture readings make for easy but thoughtful reading. 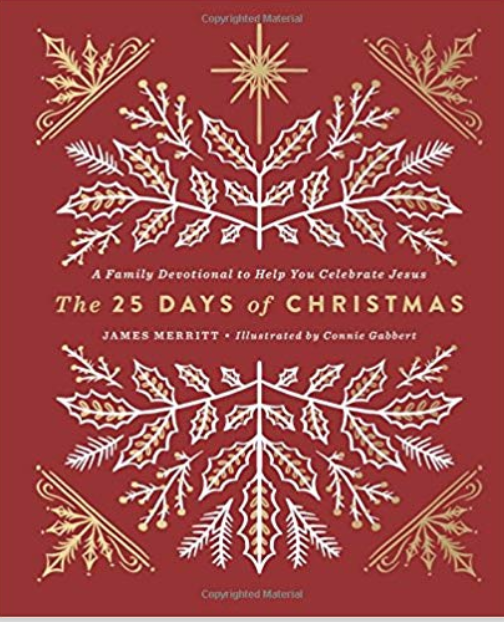 A good resource for all ages, this Advent devotional provides daily readings, and explanations of the theology in popular Christmas carols, and discussion questions. This sweet, beautifully illustrated children’s book tells the story of a little boy who is awaiting God’s promises––and witnesses the fulfillment of the biggest one in Bethlehem.